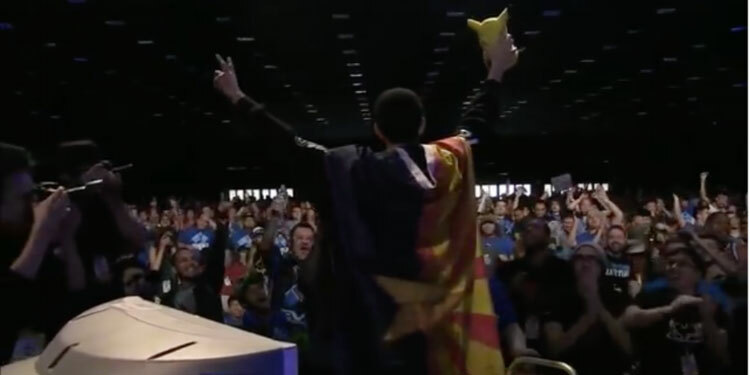 For many years, Axe has been the only Super Smash Bros. Melee player to use Pikachu at the top level. While he isn’t the only player to ever make it on SSBMRank with the character (Pikachad repped Pikachu at the 76th spot on the 2013 top 100 rankings) no other Pikachu player has come within spitting distance of Axe, who has been ranked top 20 or higher in every edition of SSBMRank. While Pikachu isn’t nearly as good as top-tier characters such as Fox or Marth, the electric rat was declared a high mid-tier character in the most recent official tier list. Pikachu’s placement puts him above characters that have seen more widespread representation in SSBMRank, such as Samus and Luigi. There’s no reason why another Pikachu couldn’t someday join Axe within the top 100. Here’s a list of some Pikachu players who might just pull it off. A subregionally-ranked threat at SoCal locals, this Pikachu vaulted into the national spotlight when he upset top Falco player DaShizWiz in pools at GENESIS 5. While he seems to be unable to decide on a consistent tag—there are vods of him playing as Eri, Erik, and Kl3shikuh—his play is rock solid, featuring impressive platform follow-ups and unorthodox edgeguards, such as the dropzone Thunder Jolt he used to finish off the Floridian Falco. Though he’s well-known for founding the Smash community’s most popular netplay ladder, Anther is a powerful player in his own right. A veteran in all Smash titles, Anther first made waves when he used Pikachu to make it into the final bracket at Pound 3 in 2008. Though his exploits are primarily limited to Project M nowadays, Anther proved that he was still a force to contend with in Melee when he beat La Luna at The Big House 7. He’s taken sets off of other top players as well, including n0ne. Though he’s the #1 player in Utah, OkayP’s relatively obscure region has prevented him from reaching the same level of recognition as some of the other Pikachus on this list. However, he’s no slouch, dominating Utah locals and taking sets off of top 100 players HomeMadeWaffles (at GameTyrant Expo) and L (at GENESIS 5). Although Anther probably deserves the title of best Midwestern Pikachu, Trix gives certainly gives him a run for his money: the young Pikachu main is power ranked in Chicago. Though he hasn’t broken through to the top level yet, Trix has run it close with top-of-the-line players such as Ice, MikeHaze, and Mayb. A familiar face to many in Boston’s local scene, BonkCushy is honorable mention on the most recent Massachusetts power ranking and is a known threat to players both on his state and regional PRs. He’s also notched some impressive wins over out-of-region players, such as Frenzy, one of the best players in the United Kingdom and a 2017 SSBMRank hidden boss. Like Trix, BonkCushy has yet to make a breakout run, but he’s had impressively close games and sets with top 100 players such as KPAN. Surprisingly, he’s not Massachusetts’ only notable Pikachu; he shares a region with Electric Flux, another skilled player of the lightning mouse. There are players outside this list who have achieved success with Pikachu, such as DJ Nintendo, Eagle, and Voorhese. However, all of these individuals have primarily moved on to other characters, keeping Pikachu around as a secondary or novelty counterpick. Still, the impressive roster above is proof that some players are willing to miss out on high-tier moves and options to play the character they love. Is it time for a new Melee tier list?